I have been obsessed with Meyer lemons for quite some time. I love to cook with them, make beverages with them and drop a section of a fresh Meyer lemon in my vodka tonic. 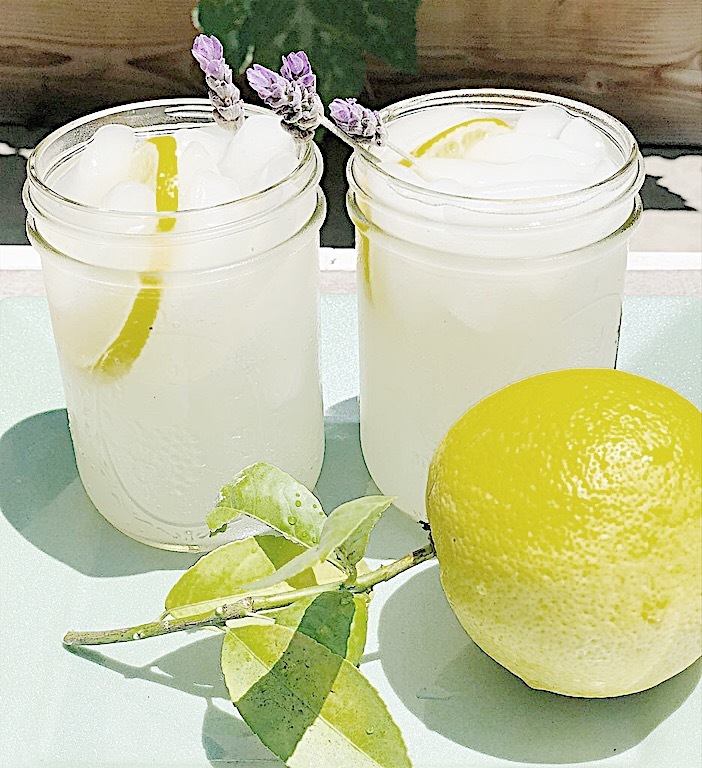 When I was asked to participate in a Summer Sips blog tour, I knew I wanted to highlight some of my favorite Meyer lemon drinks. I want to give a shout out to Kelly from The Tattered Pew for putting together this wonderful blog tour. Summer Sips is such a great idea! Meyer lemons are a sweet winter citrus that is kind of a cross between a regular lemon and a mandarin orange. Meyer lemons are typically smaller than regular lemons, although the ones from our tree are so huge! Meyer lemons have smoother, thin, deep yellow to orange skin, and dark yellow pulp. The differences are very distinct, especially when you see both varieties side by side. 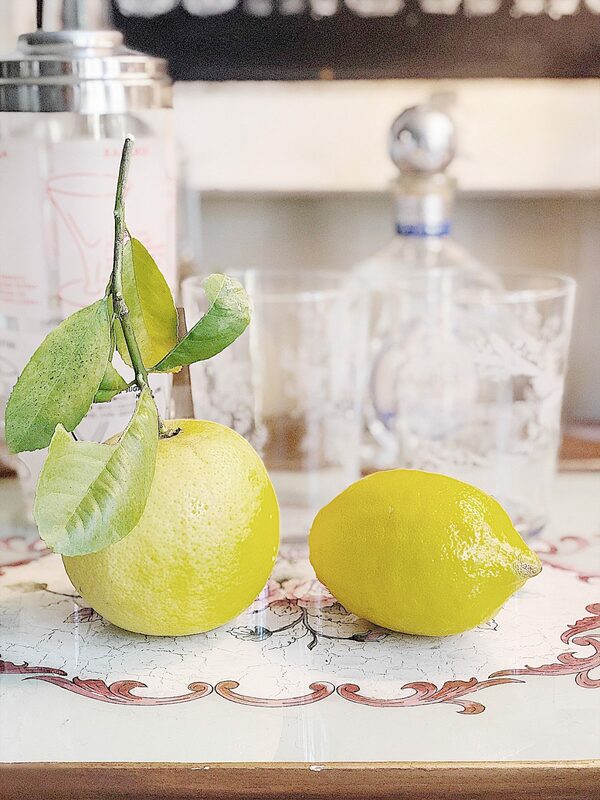 The Meyer lemon is more round (on the left) than a regular lemon. I find their taste to be the most dramatic difference from regular lemons. Meyer lemons don’t have the same tang as regular lemons. Instead, they are a lot sweeter and you can pretty much put them in salads or eat them off the rind. Just to make sure I have plenty of Meyer lemons on hand, I planted three trees at our home in South Pasadena and one at our home in Ventura. When my trees are not loaded with fruit I can usually buy them at the local farmers market between December and May. That way I have plenty on hand for my Meyer lemon drinks. 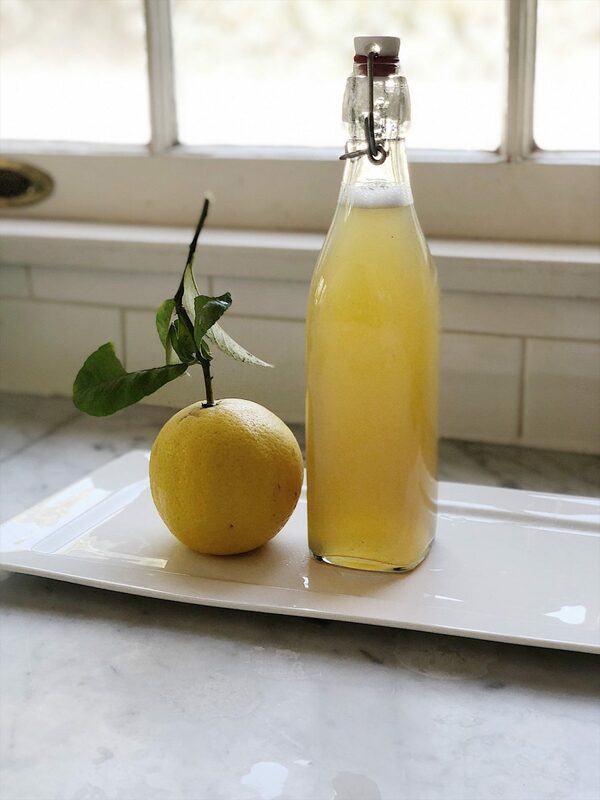 The first recipe I wanted to share is for Meyer Lemon Simple Syrup. You can easily make this in less than half an hour and store it in the refrigerator. 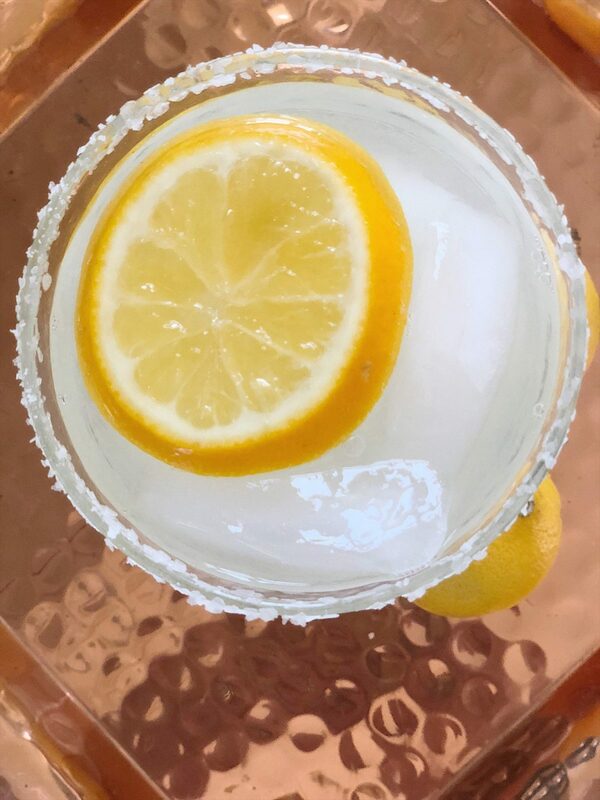 Add it to a glass of ice water, a cocktail or any recipe and you will love the fresh lemon flavor! Juice the lemons and measure out 2 1/2 cups of juice. Pour it into a saucepan and add the sugar. Stir to combine, bring to a boil and simmer for two minutes. Funnel into them into a sealed container and store in the refrigerator for up to one month. I love lemon cocktails and this recipe for Meyer Lemon Lavender Mojitos is fabulous. In a quart Mason jar or a shaker, combine the spearmint leaves, confectioner's sugar, Meyer lemon juice and lavender. Muddle completely. Strain into a Collins glass. TIP: microwaving citrus fruit on high for 10 seconds before juicing will release more juice! 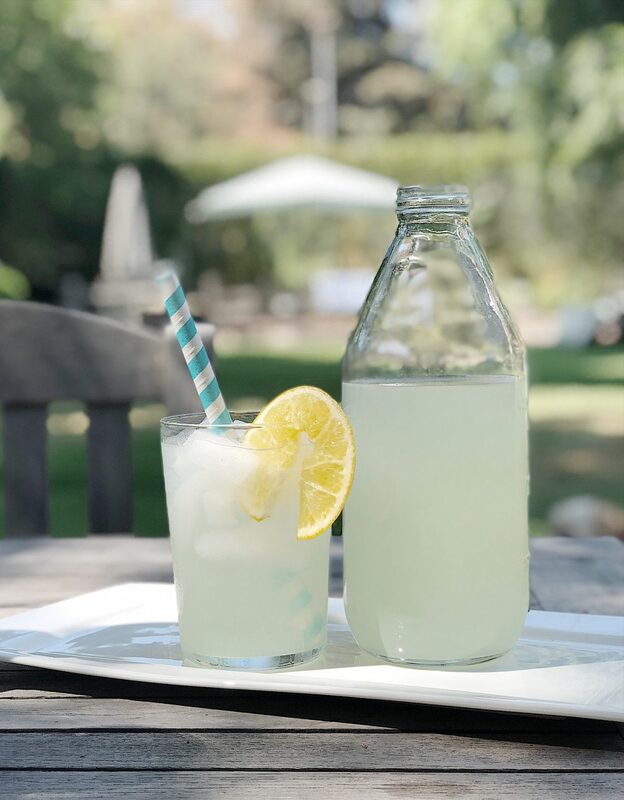 If you would rather have something refreshing and non-alcoholic, try making some Fresh Meyer Lemonade. It’s the easiest recipe ever! In a small saucepan, heat the sugar with the water until it's dissolved. Remove from the heat and pour it into a large pitcher. Add the lemon juice and a bit of salt. Stir to blend. 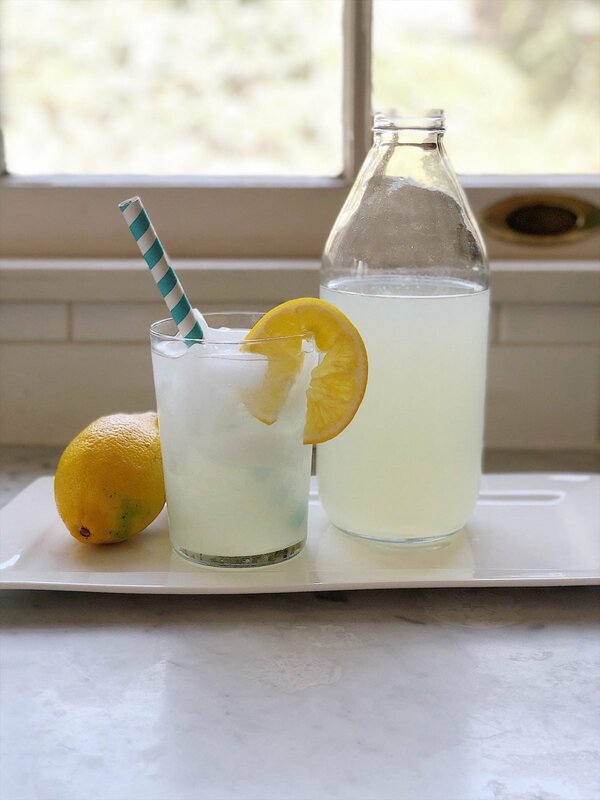 Once the lemonade has cooled to room temperature, place it in the refrigerator. 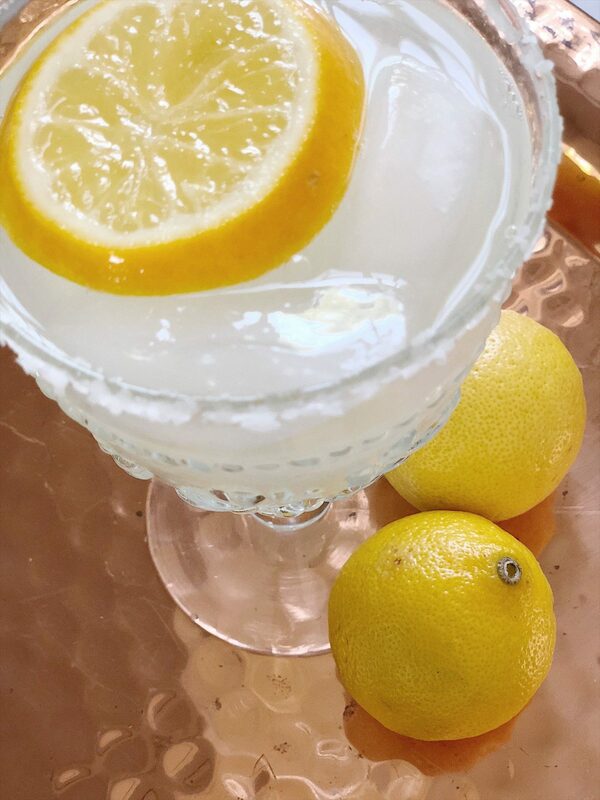 There is something about a cold Margarita in the summertime and a Fresh Meyer Lemon Margarita is the best! 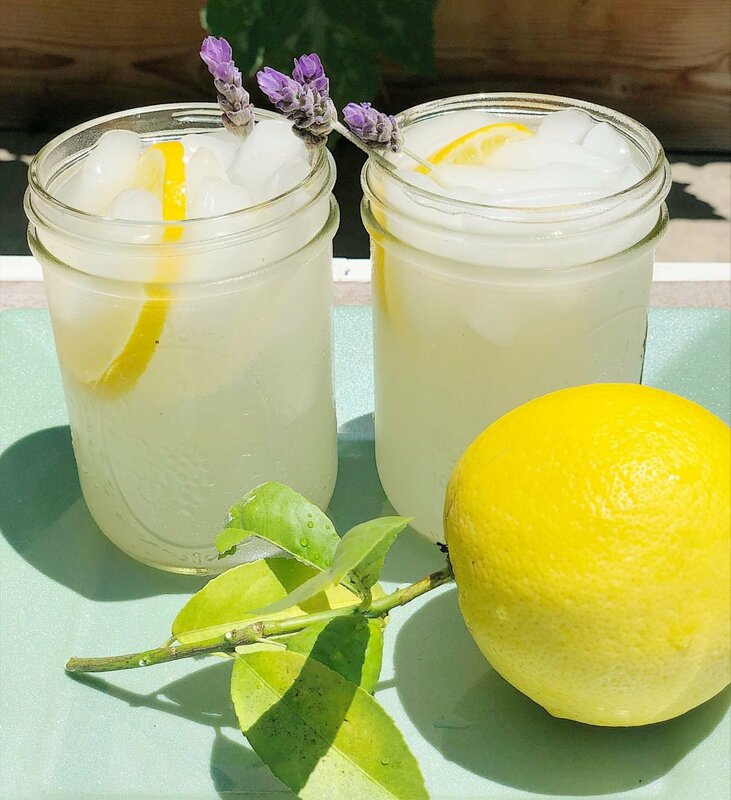 Now that I have tempted you with my Meyer Lemon drink recipes, it’s time to head over to my fellow bloggers to see what wonderful Summer Sips they are sharing! Will try them all! Drinks of the Day! These all look fabulous Leslie! Thanks for sharing!! I planted two lemon seeds about 5 yrs ago. My trees live outside spring-fall and winter inside. Just trying to figure out when they will start producing? They are 5 feet tall now. Oh my so many amazing recipes to choose from! I am so excited to try them out. Love that you have your own lemon trees too! Thanks for joining me on the summer sips tour! This looks and sounds so yummy! I want to try a Meyer lemon! Beautiful! 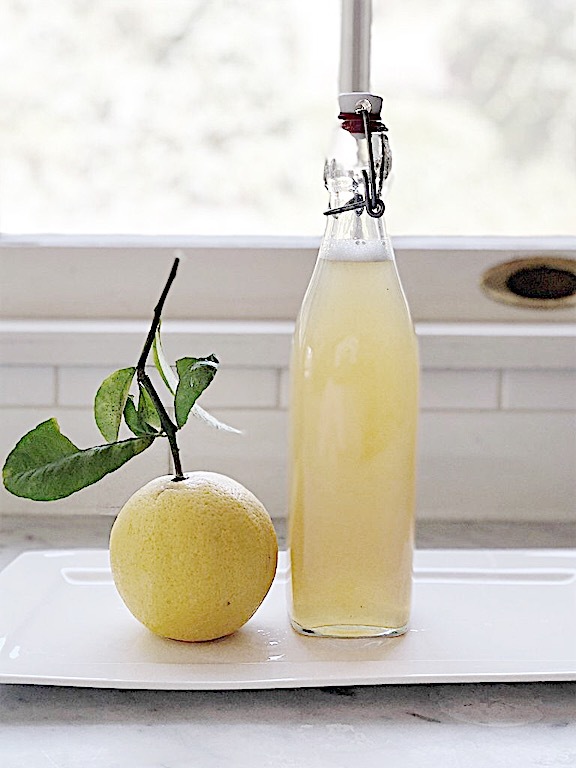 Leslie I am making Meyers Lemon Lemoncello – on my first 40 days, it should be done around September 29th, it’s my first time using Meyers Lemons, excited to see if it’s any different. The ice cubes I made of the lemon juice certainly is. These Meyer lemons look so yum!!! I love adding lemons to drinks, and all these sound sooo good!! Definitely going to make a few of these! Gonna try all the drinks and I am big fan of lemons. :) Thanks for sharing the tasteful recipes.